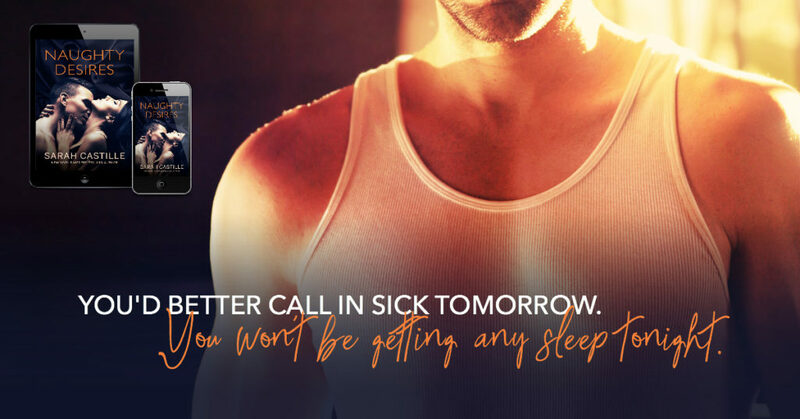 Naughty Secrets by Sarah Castille is releasing on JUNE 5th! Check out the cover now! I'm not going anywhere... I had never felt pain like the day that Jessie and I lost our infant son, Ethan, years ago. I fell into myself, pulled away from my wife, and slept in the guest bedroom to keep from waking her at dawn while I worked on our farm. How could I ever be enough for her when I couldn't save my own son? I know that Jessie won't wait for me forever. But when I find out that she's in the local bar with the town's most eligible bachelor, I wake up. Now, I'm ready to fight to win her back. She may try to push me away but I'm not going anywhere. I'll do whatever it takes to remind Jessie that what we once had is only the beginning of what we can be. And that this is forever.